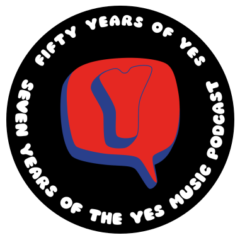 Australian one-man prog machine and Yes Music Podcast listener, Ben Craven, talks about his musical influences, his discovery of Yes music and how he managed to get Roger Dean to design the cover of his new album. Yes, we all heard that Ben Craven produced his album in a home studio! 🙂 Terrific special interview, and I had never heard of Ben Craven until now…thanks so much for introducing to us, an incredible sound and album cover! I love the Great and Terrible Potions album and bought it. Will tell all my prog rock friends. Superb stuff! Looking forward to your next release. Great interview. Very glad you enjoyed the interview! Ben is a great artist and a genuinely great guy. Thanks for the comment!